With minimum insurance requirements in many states of only $25,000 – or even less – millions of drivers on the road are vastly underinsured. Every auto accident case with serious injuries or death must be evaluated for a potential product defect to maximize your client’s recovery. A minor collision at residential speeds caused catastrophic injury or death. A single occupant is severely injured or killed while other occupants suffered minor or no injuries. 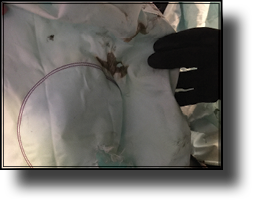 A localized area of the vehicle failed (tire blowout, roof crush, seatbelt, airbag or seatback failure). Seat-belted occupants are seriously injured or ejected. The work you do in the first few days or weeks after your client contacts you is crucial to successfully identifying a product defect. Seatback failures. If the seatback failed (went back), evaluate injuries to the occupant of the failed seat and injuries to the person behind the seat. Common injuries include paralysis and traumatic brain injury. Tire defects. 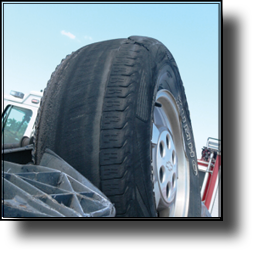 Look for evidence of tire detread/failure; design and manufacturing defects; and loss of vehicle control. Tires that are older or “aged” are at higher risk of failure, particularly in warmer climates. Seatbelts. If the person was belted and there is a severe injury or death, evaluate for a products case. Do not rely solely on the accident report to determine belt use. Airbags. Look for signs of non-deployment; low-speed deployment; overly aggressive airbags, including evidence of shrapnel; and lack of airbag systems. Localized injuries to the face or head are common. Roof crush/rollover. Common defects include lack of roof strength, susceptibility to rollover and failure of occupant containment. Look for excessive roof crush, single-roll crashes, door openings, low-speed accidents and passenger ejection. Stability cases. Vehicles such as 15-passenger vans are unstable by design and lack adequate crash protection for occupants. They have poor roof strength, poor seatbelt geometry and large windows that permit occupant ejection. Front occupant seatbacks play a vital safety component in rear-end crashes – no different than the purpose of airbags and seatbelts in frontal impacts. 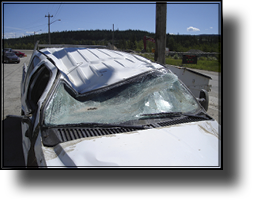 Weak, defective seatbacks can collapse and fail in rear-end crashes and cause catastrophic injuries. Commonly, seatback failures catapult front passengers to the rear, or the seat collapses onto rear passengers and causes spinal or brain injuries. Manufacturers have known about the dangers of defective seatbacks for decades. The National Highway Traffic Safety Administration’s Federal Motor Vehicle Safety Standard 207 provides federal standards for seatback strength in rear-end crashes; however, these standards are grossly inadequate. Crashes at residential speeds can cause seatbacks that pass federal standards to collapse and fail. Independent testing has shown that lawn chairs sold at retail stores pass federal standards for automotive seatbacks. If your client has suffered serious injuries in a rear-end crash, look for evidence that the seat was in a reclined position after the crash. Talk to emergency responders and scene witnesses to confirm whether the seatback was repositioned upright after the crash. If rear passengers – commonly children – in back seats suffer facial fractures, brain injuries or spinal injuries, then there is potential for a seatback failure case. Likewise, front passengers typically have severe brain and spinal injuries. Our firm is evaluating guardrail end terminal cases nationwide. Dangerous guardrails fail to absorb crash forces, turning what is supposed to be a safety device into a spear that either pierces the vehicle or causes it to overturn. There are still thousands of dangerous guardrail end terminals on U.S. roadways, and unfortunately, more people will be injured. If you are seeking co-counsel on a guardrail case, we have knowledge of the end terminal products; accident reconstruction experts; and other resources to help maximize your client’s recovery. Langdon & Emison obtained a $5.25 million jury verdict on behalf of a 24-year old woman who was seriously injured when an oncoming vehicle crossed the centerline and crashed head-on into her vehicle. After a four-day trial, the Dallas County, Mo., jury awarded $4.25 million in compensatory damages and $1 million in punitive damages. The crash occurred on Highway 7 in Benton County, Mo. The plaintiff suffered multiple broken bones to her leg, pelvis, ankle and arm, which caused permanent pain and a limp. Langdon & Emison’s legal team showed the defendant drove under the influence at the time of the crash and showed a reckless disregard for the safety of others, which justified punitive damages. Short, concise fact testimony. Our legal team put on 11 fact and scene witnesses the first day of evidence, each lasting around 15-20 minutes. Utilize law enforcement. State troopers who investigated the scene testified as non-retained experts regarding the reconstruction of the crash, as well as in establishing the defendant’s impairment. Visuals. Medical experts used simple medical illustrations to explain our client’s complex orthopedic injuries. Lay witnesses. Our client’s friends and family gave concrete examples and stories of how her injuries have forever changed her life; destroyed her dream of becoming a teacher; and taken away her ability to be an active mother to her three young children. Our trial team was led by Mark Emison and Lindsey Scarcello. The case is Knight v. Zey, Case No. : 17BE-CC00008-01. Forty-three states allow a drunk driving victim to hold a bar or restaurant responsible for overserving the drunk driver through a “dram shop” claim. These claims promote justice when a drunk driver is uninsured or incapable of making the victim whole. Every drunk driving case should be evaluated for potential dram shop liability. Investigate where the drunk driver obtained the alcoholic beverages consumed before the crash. Obtain the drunk driver’s credit card statements or interview witnesses about the defendant driver’s activities prior to the crash. The drunk driver’s criminal attorney may encourage cooperation as part of the driver’s restitution. Confirm the establishment can be held accountable for overserving the driver. Even in states that do not permit a dram shop claim, a negligence claim may be possible against the server under certain circumstances. Prove the driver’s level of intoxication. You can establish the driver’s intoxication through extrapolating the blood alcohol content result, eye witness testimony or video surveillance at the bar. Establish the bar’s failure to train. Obtain the bar or restaurant’s training manuals and depose key managers to identify failures in training to identify intoxicated customers. While evaluating a potential dram shop case may seem burdensome, it can yield a much better result for a client who has suffered immensely at the hands of a drunk driver. When Should an Airbag Inflate? An increasing number of airbag non-deploy cases involving catastrophic failures of passenger presence sensor systems have caused severe injuries and fatalities. When these systems fail to recognize the passenger seat is occupied, the airbags are disabled. Several car manufacturers have issued recalls on vehicle models that fail to detect front passenger occupants and issue commands to deploy the front passenger airbags in collisions. Even in the absence of a recall, issues remain. The driver and passenger frontal airbags are designed to inflate only if the impact exceeds a predetermined deployment threshold. Whether frontal airbags will or should deploy is not based solely on how fast the vehicle is traveling; it depends largely on what the vehicle hits, the direction of the impact and how quickly the vehicle slows down. Determine the size of the passenger. Vehicle’s speed at the time of the collision was above the threshold for deployment. CDR recorded the subject collision as a deployment event. Vehicle’s passenger presence system failed to identify the front passenger seat occupant and therefore failed to issue a command to deploy the front passenger airbag. If you have questions regarding airbag nondeployment claims, contact our firm at 800-397-4910 or lelaw.com. Many clients who suffer a traumatic brain injury have no associated loss of consciousness, and all initial imaging is normal. While lay witnesses who can explain how the client has changed before and after an injury are vital in brain injury cases, objective scientific evidence proving a brain injury can enhance the case. Widely accepted peer-reviewed studies conclude that traumatic brain injuries lead to accelerated loss of brain volume over time that exceeds what is expected in the normal aging process. Further, a qualified brain injury expert can isolate the areas of brain atrophy to confirm the accelerated atrophy is consistent with brain injury, rather than pre-injury chronic conditions. Highway and road design failures may cause a vehicle crash or increase the injuries sustained in the crash. Such failures include roadway design, maintenance, improper signage at the intersection and/or defective highway equipment. • Identify the entity responsible. A “sunshine” request may be necessary to identify all responsible agencies and entities. • Investigate the roadway’s history. Many unsafe roadways have a history of crashes, deaths and injuries. In addition to formal discovery, investigate public comments to various transportation departments. • Identify the failures. Look for violations of standards regarding the design and placement of signage at intersections as outlined in the Traffic Engineering Handbook, Road Design Guide and Manual on Uniform Traffic Control Devices. • Know the limits. Determine whether sovereign immunity or governmental damage caps apply. There may be exceptions to such caps if there is a claim against a private contractor. Our firm has litigated several road design cases. In one, we found a newspaper article in which an engineer for the defendant transportation department acknowledged the danger presented by the lack of a left turn lane at the intersection where our client’s brother would later be rear-ended and killed while slowing to turn left. This evidence was critical in obtaining the maximum recovery possible. On average, approximately 7,500 passenger vehicle occupants die annually in rollover crashes. Yet, despite recent efforts, the federal government still lacks a performance standard that provides an adequate level of occupant protection for rollover accidents. Although vehicle rollovers account for only 2 percent of all vehicle accidents, rollovers produce 35 percent of all deaths in vehicle crashes. Vehicle occupants in rollover accidents are also at a heightened risk for spinal cord injuries. Since the 1970s, the government has had a woefully inadequate “roof-crush” rule based on quasi-static testing of vehicle roofs. In 2009, the roof-crush standard was updated to double the roof strength requirement, but the required strength level remains less than what the Insurance Institute for Highway Safety requires to obtain a “Good” or even an “Acceptable” rating. Further, although the new standard requires testing on both sides of the roof, the quasi-static nature of the test remains the same. Despite improvements, the current federal standard still fails to capture the forces and performance of vehicle roofs in real-world rollover accidents, resulting in vehicle roofs that are not sufficiently built to adequately perform in a real rollover. Though the safety of newer vehicles has improved under the new standard, serious injuries and fatalities continue to occur. Moreover, older vehicles still pose a substantial safety threat to motorists. On July 1, 2016, our client was driving a 2004 Mercury Mountaineer in Benton County, Mo. The vehicle traveled through an intersection and off the roadway, overturning once before coming to rest on its wheels. During the rollover, the roof over the driver’s occupant compartment area crushed inward and struck our client, causing a severe spinal cord injury and rendering her a quadriplegic. We were pleased to obtain a confidential settlement on her behalf. What is an aftermarket vehicle? Vehicles are considered aftermarket because they have been modified from their “original” or “original but incomplete” status. Aftermarket vehicles may begin as a chassis or frame. The final product is then created or finished by a vehicle modifier such as an RV or limousine manufacturer. Other aftermarket vehicles begin as completed original equipment vehicles – manufactured, tested and sold by major automakers – but then are stripped down, cut apart and reassembled as something else such as a wheelchair accessible vehicle or conversion van. Why do aftermarket modifications cause safety issues? • Aftermarket vehicle manufacturers may not be required to comply with the Federal Motor Vehicle Safety Standards. • Many aftermarket manufacturers fail to have an engineer on staff or consult an engineer on vehicle design modifications. • These vehicles lack standardized plans or blueprints and may never be crash-tested in final configuration. • Aftermarket manufacturers lack a safety department to ensure design and testing compliance, and therefore have no process or quality controls in place. If you have a case involving an aftermarket vehicle, contact our firm at 800-397-4910 or lelaw.com. Many types of consumer products are the subject of product liability lawsuits because their design, manufacture or failure to warn causes serious injury or fatalities. Below is an overview of various consumer products our firm has evaluated and pursued for product liability claims. Both ride-on and push mowers are equipped with a dead-man’s switch designed to stop the mower and disengage the cutting blade if the operator falls from the driver’s seat. When the switch is defective and does not operate as intended, rollovers occur, causing traumatic brain injuries, lacerations, amputations, burn injuries and fatalities. Nearly 500 brands and 7,700 flavors of e-cigarettes are on the market and none have been evaluated by the Food and Drug Administration. Manufacturing defects, overcharging and punctures can cause the rechargeable lithium-ion battery to overheat, triggering a fire or explosion. Defective e-cigarettes have left victims with severe burn injuries, requiring multiple surgeries to repair the damage. As fall approaches, so does hunting season. There are inherent dangers of hunting from elevated tree stands, and every autumn there are a number of serious injuries and fatalities from hunters who fall from tree stands. Tree stands can collapse due to structural failures of the stand, ladder or tree steps. Injuries often occur when hunters enter or leave the stand and ascend or descend the tree. Safety harnesses used to safely secure people at extreme heights are prone to fail if not manufactured properly, leaving users severely injured or worse. Our firm has litigated cases involving repelling equipment and hunting tree harnesses equipped with defective components that violated industry standards. These systems often fail because proper usage warnings are not provided to consumers. Langdon & Emison has the second bellwether case to be tried in the 3M Bair Hugger Warming Blanket multidistrict litigation, which consists of thousands of cases. The trial is set for December 3 in Minnesota federal court. Langdon & Emison continues to review potential lawsuits on behalf of patients who suffered serious infections after knee and hip replacement surgeries. Lawsuits allege the 3M Bair Hugger warming blanket – used in hospitals across the country – exposed patients to contaminated air from the operating room, causing MRSA, sepsis and other severe infections. Langdon & Emison continues to expand its inventory of mass tort claims and evaluation of new torts. Our firm would be pleased to help evaluate your case or offer a co-counsel arrangement for qualifying cases. Several brands of hernia mesh products have been associated with a high rate of failure. We are looking at cases where the person had hernia repair surgery and then had revision surgery or other complications. Patients must have undergone a hip or knee replacement surgery and suffered a deep joint infection within one year after surgery. Taxotere is a chemotherapy drug approved to treat breast cancer. The drug has been linked to permanent and disfiguring hair loss in cancer patients. All-metal hip implants have been prone to fail early, requiring patients to undergo revision surgery. Symptoms include chronic pain in the hip, thigh or groin; loosening or dislocation of the hip implant; inflammation; and difficulty walking or standing. What happens when a negligent driver severely injures or kills someone in a collision but only carries the minimum amount of insurance? Langdon & Emison can help you explore all potential recovery avenues before you decline or settle a case. Sign-up to get our newsletter digitally and/or in the mail. We send out one free of charge once every three months. If you would like to receive our publication in your inbox, please provide an email address. If you would like to receive a physical copy of our newsletter in the mail, please provide a mailing address.